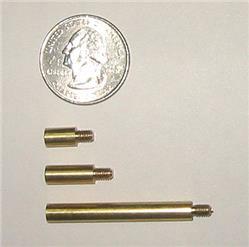 One of the largest selections available on the web! Click the image to see the full list. 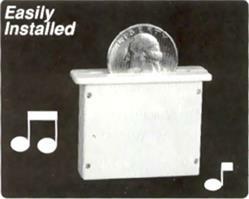 These coin-activated music box movements are getting harder to come by, and will sell out soon. Carpe diem! Here are a series of stained glass music box projects which are fun to build and fun to give as gifts. After you have finished building any one of them, they are fun to admire. Call in a friend, close the curtains, turn down the lights, pop some corn and have a sing-along. Have some fun.